Even though I hate to look at the clock because life is flying by, I still have to keep a schedule…I guess. Why not keep time in style, right! 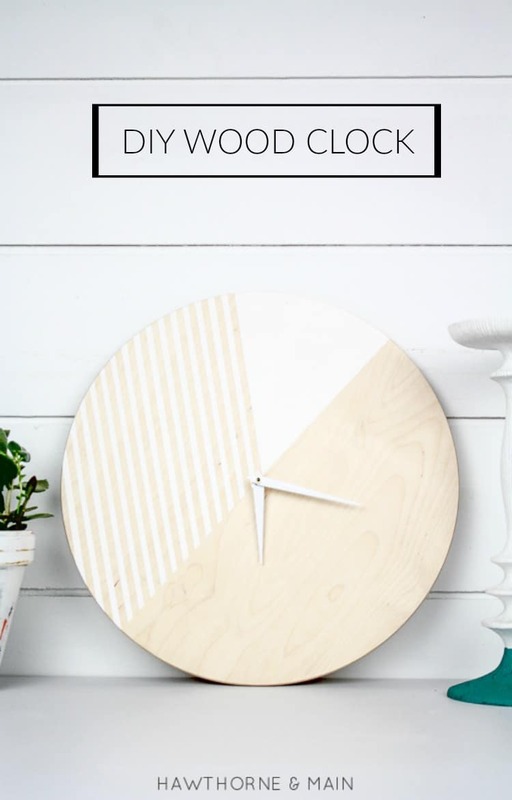 Today I am going to share with you how to make this DIY wood clock. Hello Pretty Provident readers, this is Shonee from Hawthorne and Main. 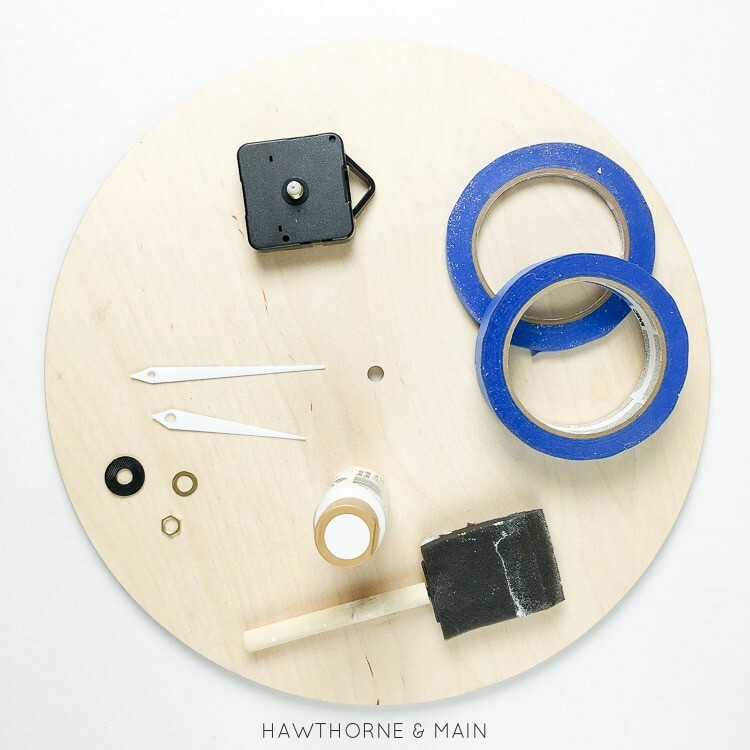 Over at Hawthorne and Main you will find all sorts of DIY’s as we fix up our fixer upper home, one room at a time. 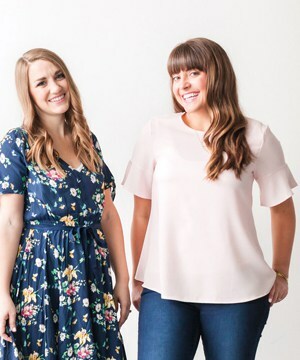 I also love to share rustic modern DIY’s and decorating tips. 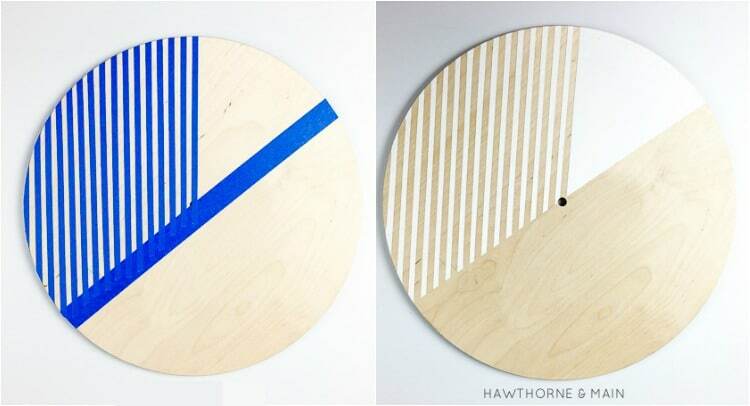 Begin by painting a design onto the wood clock face. There are so many different possibilities. I decided to only add paint to half of the clock. It’s very simple and minimalist. I really liked using the 1/4 inch painters tape for this. It made it easy to get perfect, skinny, straight lines. After the paint has dried it is time to assemble the clock. Start by taking the clock hardware apart. You should have 4 small parts: black rubber washer, small metal washer, large nut, and a small nut. Replace the large black washer onto the clock hardware. Turn your clock over and insert it into the clock. Add the remaining metal washer and screw on the larger nut, tighten it. 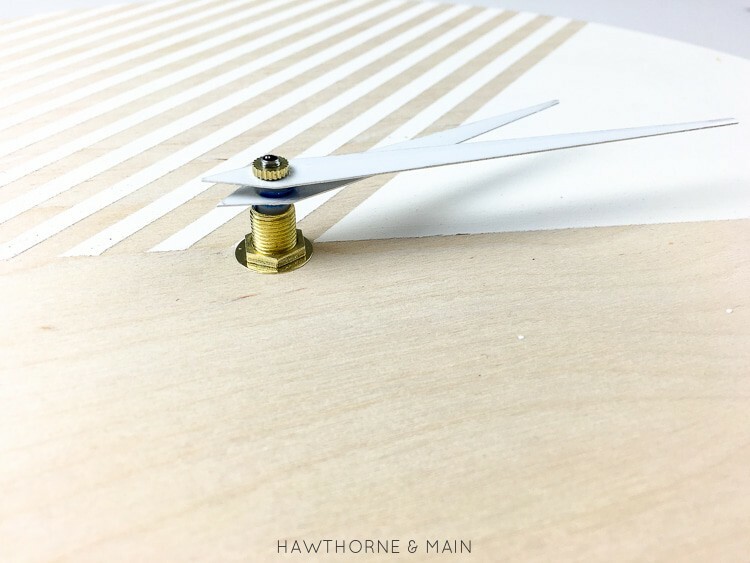 This is the part that holds the clock hardware to the wood clock face. 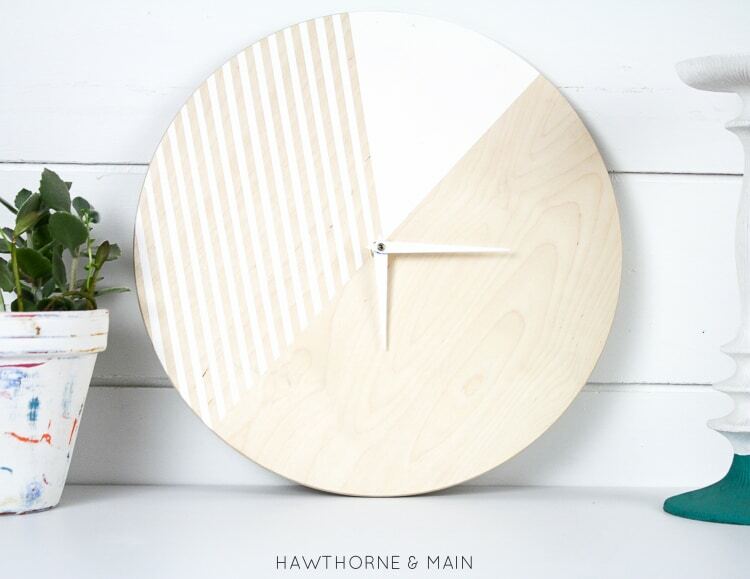 Next, add the hour and minute hands on top of the clock hardware. This clock hardware has the hour hand on the bottom and the second hand on top. 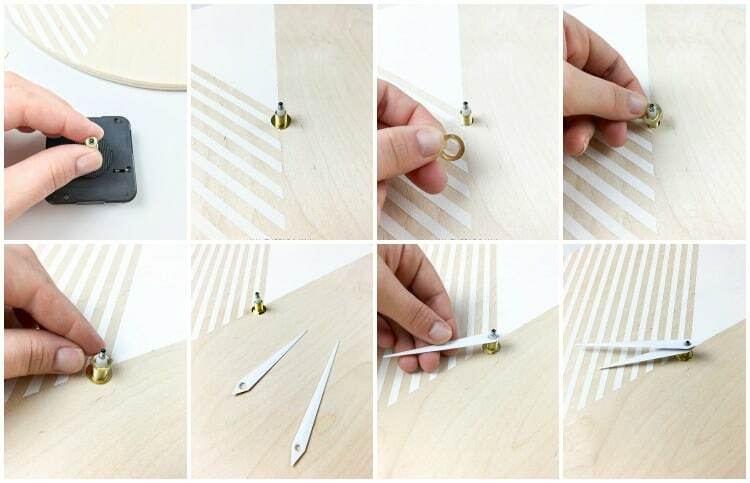 The order on how you add the hands will depend on the brand of clock hardware that you have. Finally add the small nut onto the top, to keep everything secure. Below is an image of how your clock should look once it is done. Don’t forget to add a battery! Even though time is zipping by…..and my little one has a new found independence… at least we will have an awesome stylish clock to help keep our schedule. « How to Become a Morning Person… When You’re Not.